Just recently, one of our clients asked me to share with their analysts a number of custom segments and custom reports that I’ve created for them. With the new “Share” segment button, it was very easy to share the URL of the segments/report and email them to the client. When the analysts clicked on the segments’ URLs, they imported the report structure exactly as it was configured under my login. But when they saved the segments under their login, the segments were saved under wrong profiles! First of all we need to know that Advanced Segments and custom reports in Google Analytics are tied to the user login and not to the account/profile under which these segments are created in. So if two users have access to the same profile but they are using different login to access the GA account, the segments created by user A are not accessible to user B unless they are manually shared by user A. So, all the amazing segments and custom reports that E-Nor creates under their Google Analytics login will not be visible to their clients who are using a different login credential, even though both E-Nor and their clients are logged into the same GA account. What went wrong with the segments I shared with our client? When our client’s analysts clicked on the shared segment’s URL, the segment showed up by default under the first profile of the first account that the login of each user has access to. 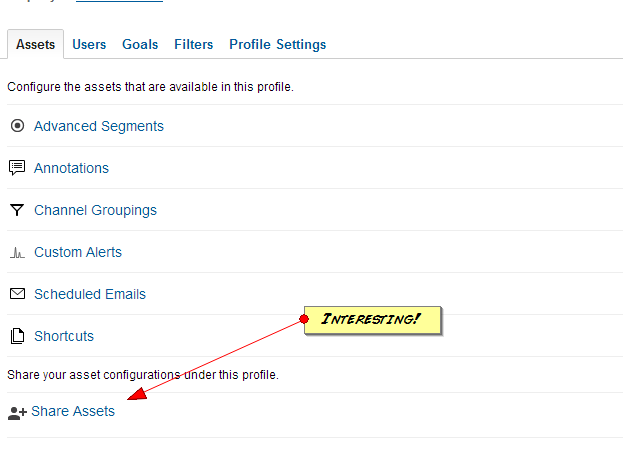 Because the relevant profile applicable to the segment was not the first profile in their accounts list, they failed to add the segment to the right profile and when they later logged in they were unable to allocate the segment under the given profile. The “share” functionality in the Advance Segment and Custom Report is good as long as the recipient of the shared segment applies the segment to the right profile using the “Visible in” menu (See point# 6 of this post). But if you want to make the life of the recipient much easier then follow the simple solution provided below. 1. How can I get the profile id? 2. How to create advanced segments and custom reports? How do I create and use advanced segments? 3. How to get the custom segment Link? 4. How to add the profile ID that I got from step# 1 to the segment Link URL that I got from step# 2? 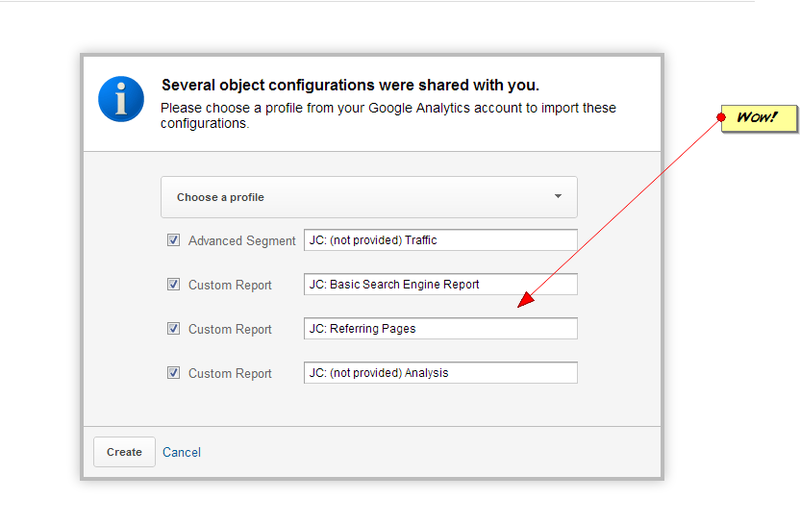 Send the enhanced segment link to anyone who has access to the Google Analytics account. When the recipient clicks the link, a template of your advanced segment or custom report loads under the correct account and correct profile. 6. What if I receive a segment link that doesn’t contain the profile ID? Well, then you need to manually apply the segment to the desired profile. At the bottom of the segment page, use the “Visible in” menu to select the profile(s) where you want the segment to be available. Allaedin wisely guides friends, family and colleagues with honesty and care. He is a long time digital analytics industry veteran leading E-Nor’s analytics team with over a decade of experience as a digital marketing and senior analytics consultant. What a timely post. We have recently started working more with Advanced Segments and sharing them with clients. Unfortunately, we have some older clients created under the same Google account so we would eventually run into this same issue…just another reason to create a unique GA account for every client. Thanks for the detailed explanation! I think this is being taken over by Share Assets… Could you confirm? In the meantime Google has enabled the sharing of segments. When setting up a new segment (or editing a current one), click ‘Change’ on the top right and select the last from the three options ‘Collaborators and I can apply/edit Segment in this View’. The segment will then be available to all other collaborators in the same view under the ‘Shared’ section in segments.